The files in the static folder, need to be defined within the module in order for them to be loaded correctly. Everything in src/xml is defined in __manifest__.py while the contents of src/css and src/js are defined in petstore.xml, or a similar file. 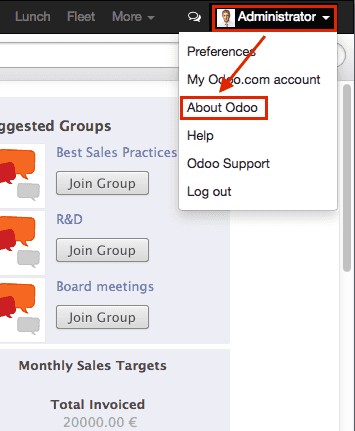 In Odoo web, modules are declared as functions set on the global odoo variable. The function's name must be the same as the addon (in this case oepetstore) so the framework can find it, and automatically initialize it. Triggering events on an other widget is generally a bad idea. The main exception to that rule is odoo.web.bus which exists specifically to broadcasts evens in which any widget could be interested throughout the Odoo web application. The class used to call Odoo models is odoo.Model(). 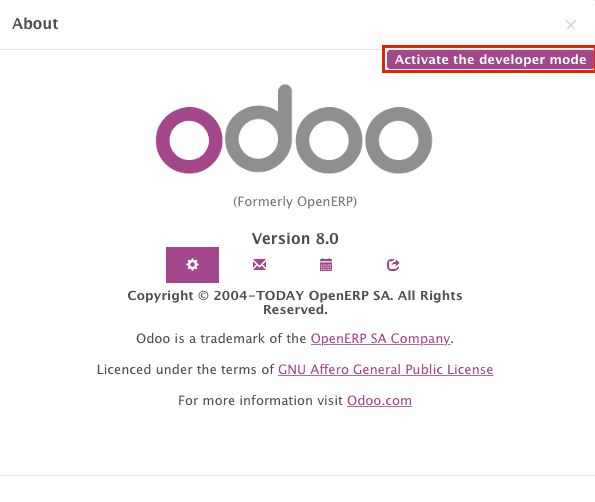 It is instantiated with the Odoo model's name as first parameter (oepetstore.message_of_the_day here). The argument is necessary in all methods, otherwise bad things could happen (such as the application not being translated correctly). That's why, when you call a model's method, you should always provide that argument. The solution to achieve that is to use odoo.web.CompoundContext(). 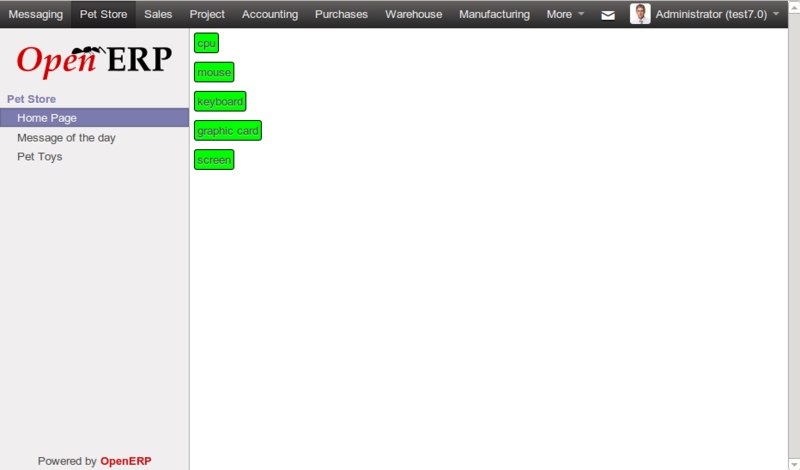 Most Odoo views are implemented through a subclass of odoo.web.View() which provides a bit of generic basic structure for handling events and displaying model information.